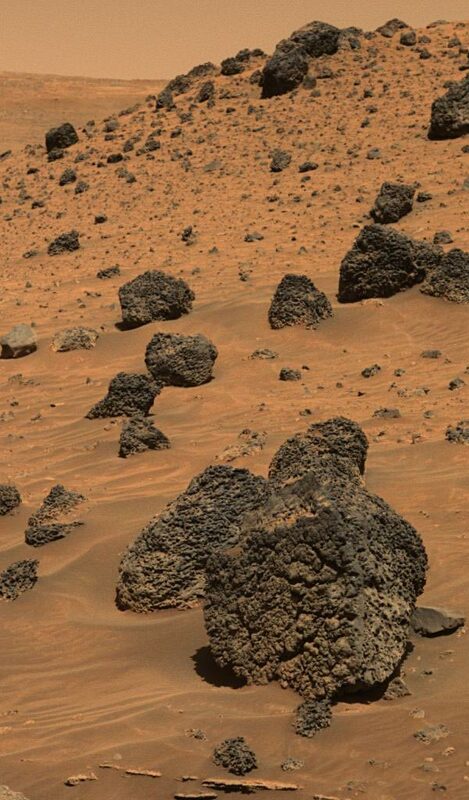 Explanation: What created this unusually textured rock on Mars? Most probably: a volcano. Dubbed Bumpy Boulder, the strange stone measuring just under a half-meter high was found by the robotic Spirit rover currently rolling across Mars. 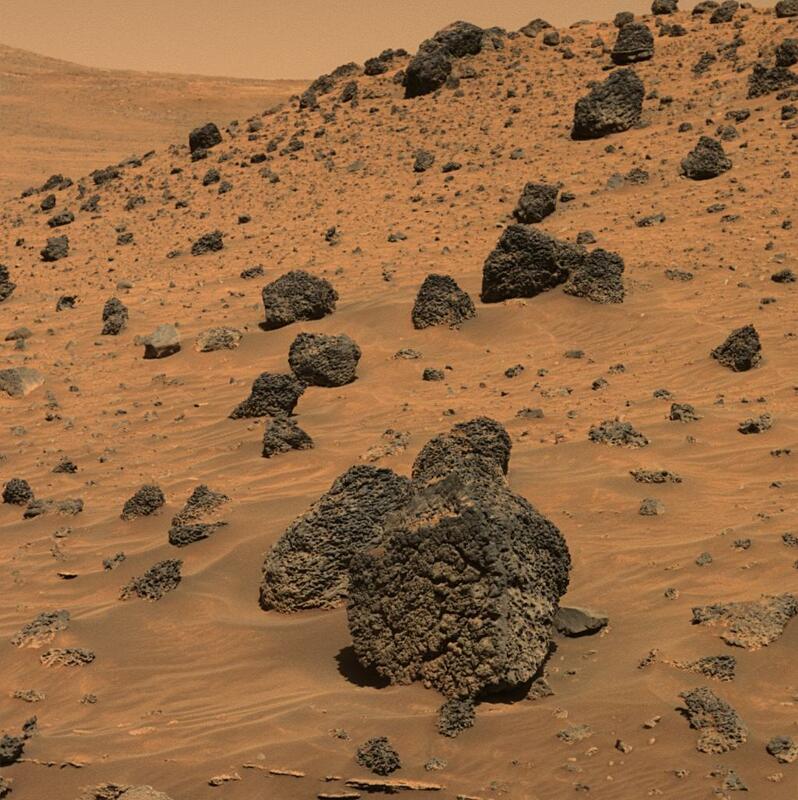 Pits on the ragged rock are likely vesicles and arise from hot gas bubbling out of hot rock ejected by an active Martian volcano. Several similar rocks are visible near Bumpy Boulder that likely have a similar past. The above true-color image was taken about one month ago. The Spirit rover, now in its third year of operation on Mars, is weathering the low sunlight winter of Mar's northern hemisphere on a hillside slope in order to maximize the amount of absorbable battery-refreshing sunlight.